The N480D-RRR is an efficient PID-temperature controller with an excellent price-performance ratio. 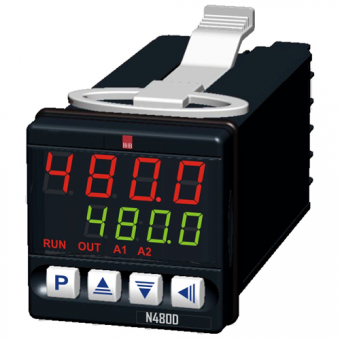 In measurement and control technology digital indicators are used to constitute measured values or process variables. 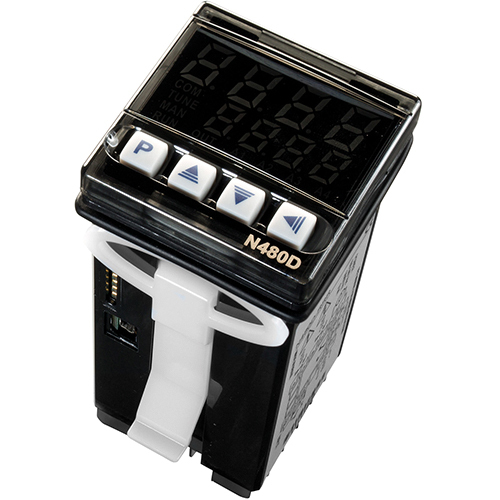 The N480D-RRR temperature controller has been developed to combine easy handling and great performance in one device. So the N480D-RRR temperature controller is even easy to use if you are not experienced in the area of control technology. It can be connected to most thermocouple types as well as Pt100 resistance sensors. It has 3 outputs which can be programmed user-defined in 2 alarm outputs and a pulsed control output (Optionally the controller is available with a analogie 4…20 mA output). Self optimizing PID control function, a dual display and a ramp function are just a few of the standard characteristics of this powerful and reasonably priced device.